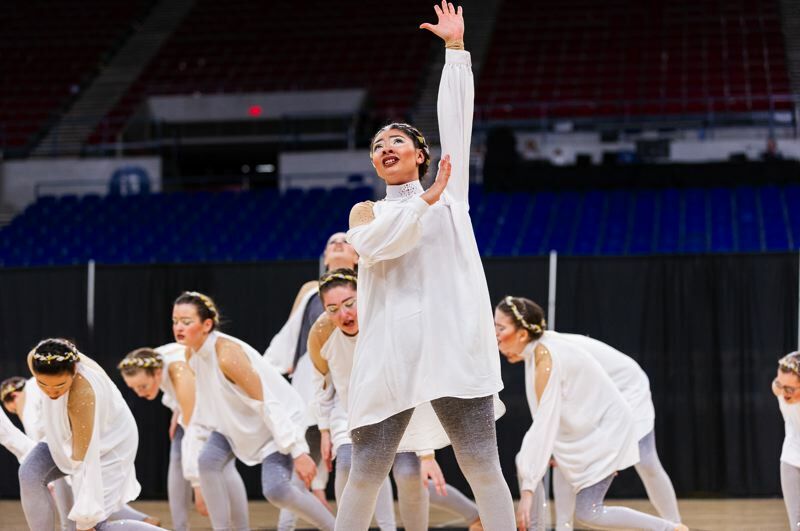 The first year of Class 5A competition for Scappoose High in dance/drill came with new competitors and new challenges. And it ended in Portland with the Scappoose Vision Dance Team making many memories and placing ninth in the state. "The team danced fiercely and made the coaches, parents and community proud," coach Pamela Didier-Delwisch said. Scappoose was one of 12 entries in 5A at Veterans Memorial Coliseum two weekends ago. Pendleton, Lebanon and South Albany finished 1-2-3, in that order. The Indians began the season with only three returning squad members as it moved up in Oregon School Activities Association classification and after having earned numerous state trophies over the years. "They continued to grow and defy the odds," Didier-Delwisch said. 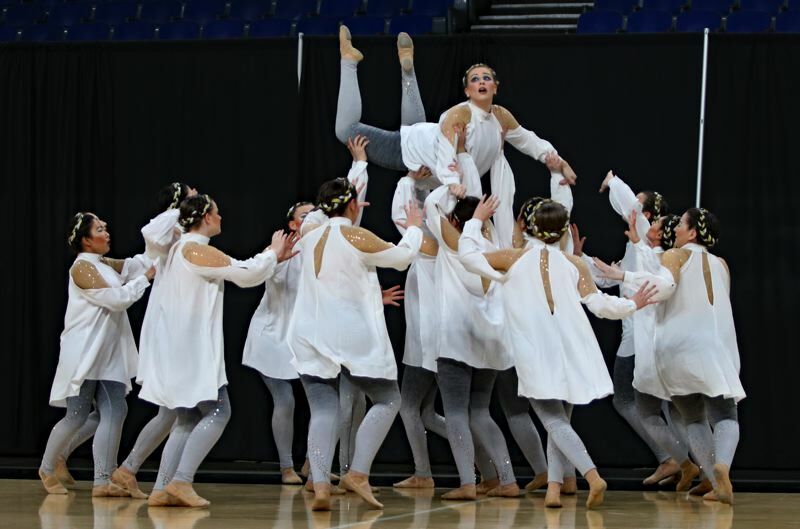 The Scappoose Vision Dance Team had five seniors, including only one returner, captain Hannah Darco, who auditioned and made the All-Star team for the 5A division. She was one of only 14 members selected from more than 60 who auditioned. The state competition capped a year in which the squad competed in various categories and styles of dance. "We began with a brand new team and came out of the gate strong," Didier-Delwisch said. 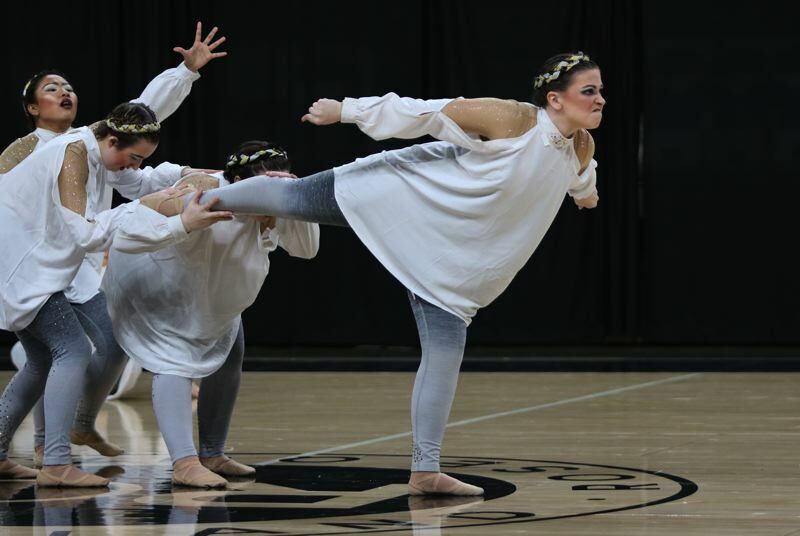 "The team qualified for Category Championships with their pom routine, which was a huge accomplishment for such a young team of novice dancers." The traditional dance season consisted of a longer routine danced to a theme. For Scappoose, this year's theme was "Fallen," about an archangel who falls from grade. All of the other archangels desperately try to save her. But in the end, they are not able to do so. 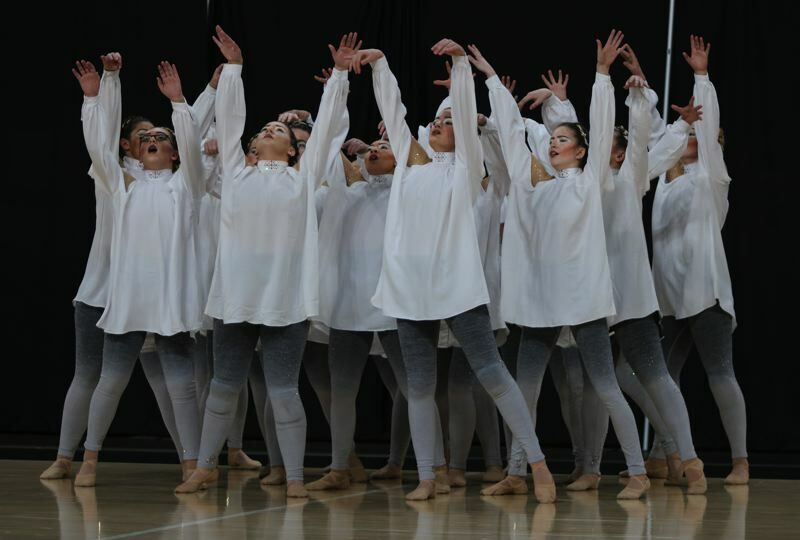 The Scappoose Vision Dance Team brought home a third-place trophy in competitions at Parkrose and Liberty, vying at both meets with 6A teams as well. Didier-Delwisch gives credit to her assistant coaches — Ally Britton, Brittany Hortert, Afina Arstill and AJ Hall. And she said the team will miss the leadership of its other seniors — Ashlyn Briscoe, Erika Ceja, Baimon Boonyanon (an exchange student from Thailand) and Christine Vaughn. Other team members were juniors Mya Greenhalgh and Brooklyn Nord; sophomores Cassidy Didier, Haylie Noble, Aubrey Page and Jasmine Schrader; and freshmen Kloe Cook, Kaitlin Dahla, Jax Ekstrom and managers Alivia LaVoie and Monserat Sandoval. The team will present a bonus performance at 6 p.m. Thursday, April 11 in the Scappoose High gym. The show will include routines from the entire competitive dance program, which includes the mini "Sparklers" (first, second and third grades) youth "Sparks" (fourth and fifth grades), middle school "Explosion" (sixth through eighth grades). The Junior State Championships for the younger teams are set for Saturday, April 6, at Woodburn High.